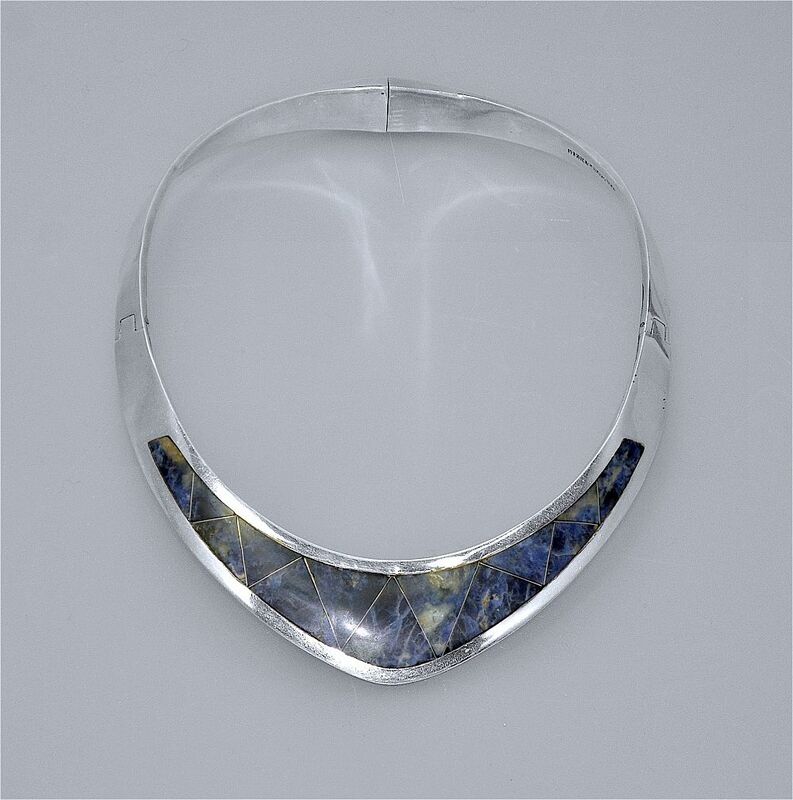 This very elegant silver & sodalite collar style necklace was made in Mexico after 1979. The collar is hinged about half way round on both sides. It is designed to come to a shallow "V" section in the front, into which is inlaid predominantly triangular shaped sections of sodalite separated by silver wire. 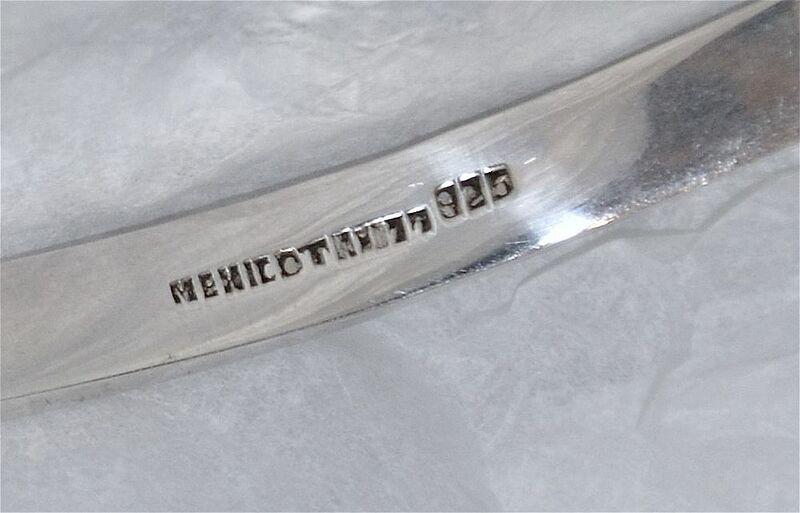 The collar is stamped "Mexico Taxaco 925" on the inside.